In addition to having FSX create flight plans for you (that are then automatically imported into your GPS), you can create flight plans online or download them from our website and import those files into FSX's GPS. Whether you choose to create your own flight plan or download a preferred route file from our website, the import process is the same. 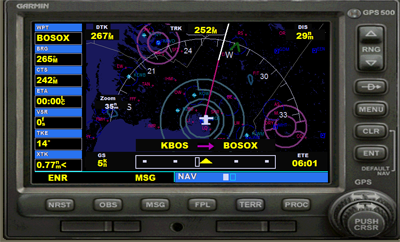 If you're ready to move beyond flight plans that read "GPS DIRECT", read on! SimRoutes.com is a great source for compiling your own flight plan. While there is a search feature, you can also click on "Generate Routes", type in the waypoints you wish to use, and then save the file. 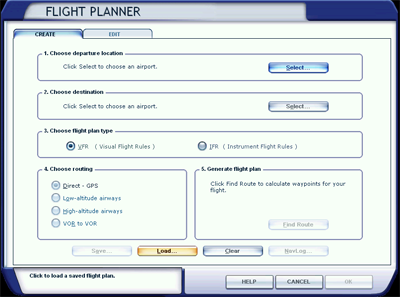 Make sure to export it as an "FSX" file and click "Download Flightplan". 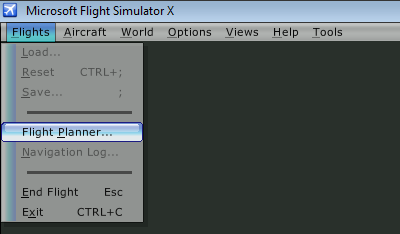 Save the file to DocumentsFlight Simulator X Files*. Each of our events that features a preferred route has a .PLN file created for you to use. Locate the "Event Details" page and search for the Preferred Route download link. Generally, preferred routes are created for Regional Circuit, Domestic Journey, and Getaway events. Save the .zip file locally and extract the .PLN file you wish to use from the .zip archive. Place the .PLN file in the DocumentsFlight Simulator X Files* directory. Once the .PLN file you want is saved to your computer, boot up FSX and spawn in the aircraft you want to fly. Navigate to Flights > Flight Planner. Click the "Load" button, and select the .PLN file you'd like to use. Click "OK". When asked if you would like Flight Simulator to move your aircraft, select "No". 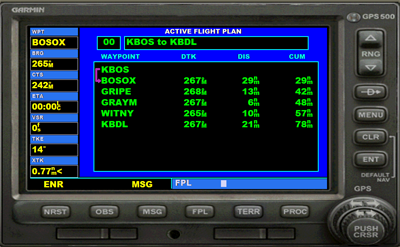 Your flight plan should be loaded on the GPS, and you're ready to go. Make sure to change the "NAV/GPS" toggle switch featured on most default aircraft to "GPS" mode, and then click on the "NAV" hold button on your autopilot if you'd like the airplane to do most of the tracking work during cruise. *NOTE: .PLN files can be saved and imported from any directory. 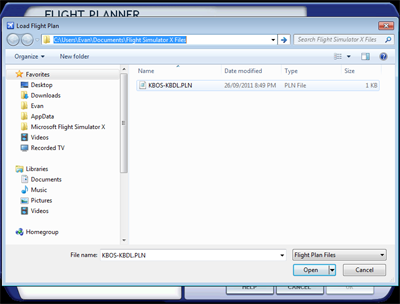 However, FSX will look at the DocumentsFlight Simulator X Files directory first, and that seems as good a place as any to store .PLN files.